This fantastic and full guided tour will let you see all the highlights of Barcelona and Montserrat while you travel in comfort and style – all in one day. Discover the beauty of Barcelona and enjoy awesome views at Montserrat. 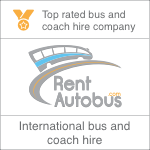 You will be picked up at 9:00 am and head with your private minibus to Barcelona where you will meet your professional guide. He or she will take care of you during the hole tour. The tour covers all the main highlights of Barcelona including the famous buildings and monuments designed by the renowned architect Anthoni Gaudi, such as the Sagrada Familia, Casa Batllo, Park Guell,and one of Barcelona's most famous markets, the Boqueria market, first mentioned in 1217 where you can catch something to eat (own expense) before your visit to Montserrat or enjoy some tapas in the old town, our guide will recommend you some real insider tips. Next enjoy a relaxed drive to the most popular destination outside Barcelona – the impressive national park of Montserrat – the ‘Serrated Mountain’. It gets its name from the rock formations which look like they’ve been sawed and sculpted. Like thousands of pilgrims before, you too will be touched and inspired as you will explore with your guide the magnificent mountain and its spectacular rock formations. Repare for gorgeous views of Catalonia from the top and learn about the legend of the Black Virgin.